Australia’s biggest giraffe herd has grown with the arrival of 12-month-old Scarlett! After travelling more than 2000 kilometers and spending 30 days in quarantine, Scarlett was officially welcomed into Monarto Zoo’s giraffe herd this month. The lofty beauty was born and raised at Australia Zoo in Queensland, before being transferred to Monarto Zoo to hopefully play a part in the zoo’s breeding program. Australia Zoo’s Terri and Robert Irwin stayed close to Scarlett during her debut at Monarto, helping for a smooth transition into her new home. Scarlett was apprehensive as she first walked through the gates. But nerves quickly disappeared when the herd welcomed her warmly with a whole lot of sniffing. It was a sight to see the herd galloping over to the gate to meet her! Monarto Zoo’s giraffe herd is the biggest in Australia, and more than 40 calves have been born through breeding programs. Sadly, there has been a dramatic drop in giraffe population over the past 30 years. Habitat loss, poaching and civil unrest has seen giraffe numbers plummet dramatically. There are now fewer giraffe in the wild than African Elephants. As a conservation charity, Zoos SA is committed to safeguarding a future for these gentle giants. 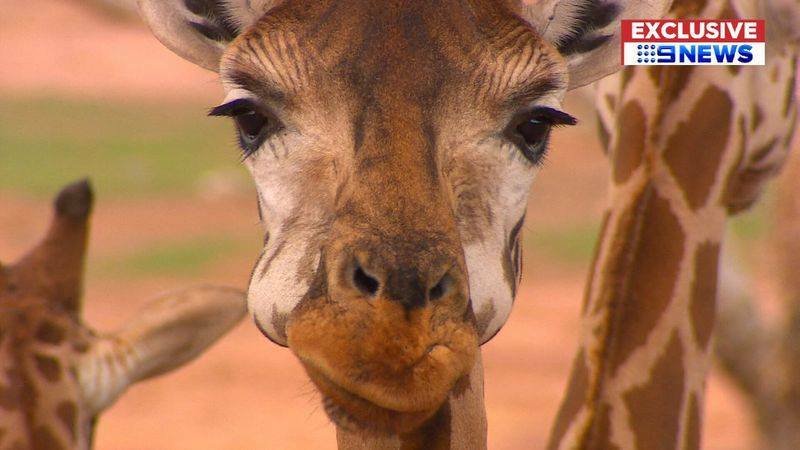 Monarto Zoo’s successful breeding program is a significant piece of the puzzle in working to secure a viable insurance population of giraffe in zoos. Scarlett’s introduction to Monarto’s herd will help to increase genetic diversity for populations to come.